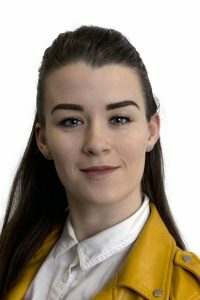 Brooke studied undergrad law and the LPC at Nottingham Trent University, finishing in summer of 2016. After graduating she worked in criminal law before applying to BCLC for a training contract. Whilst studying, Brooke volunteered at Citizens Advice. Being a young parent she wanted to know her rights in order to be able to help herself and no longer to be a disadvantaged excluded member of society. Working at Citizens Advice, Brooke found her true passion lies with helping others. She is very excited to continue to explore and grow this passion here at the law centre and embark on a meaningful, rewarding career.